Sport climbing in a hall and on the rock is a relatively safe sport which doesn't require a great deal of equipment or expense. No surprise then, that this pastime appeals to an ever-growing audience. However, trad climbing and big wall climbing are a completely different matter. Here, the amount of kit required can quickly get out of hand and you also need a great deal of experience and motivation. But what exactly does trad & big wall climbing mean? Trad climbing - what is it? The definition of trad climbing is actually pretty simple: It's rock climbing with protection placed in or around the rock as you go, as has always traditionally (so ‘trad') been practised in the British Isles. Bolts have never really taken on in British climbing and most climbing areas in the UK are still bolt free. The climbing itself is free like sport climbing, so without the use of technical aids but kit like nuts, cams (friends, tricams and so on) and Hexentrics are used for protection. The line between trad and clean climbing is not a clear one. The terms are often used similarly, but clean climbing actually describes a style of climbing that leaves no traces on the rocks, so not even mobile pitons are allowed. Pitons are not expressly forbidden in trad climbing, but they're rarely used, which is why they're often referred to as the same. 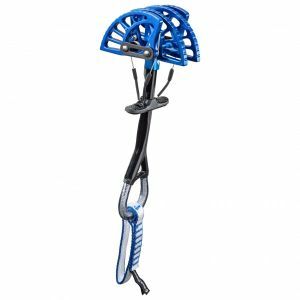 What equipment do you need for trad climbing? In addition to the usual climbing equipment climbing shoes, harness and helmet, you also need additional kit. Either single ropes (only useful for a very straight route) or half ropes, which allow straightening of the rope course, are used. Gear placements are unlikely to be in a straight line but have to be adapted to the natural form of the rock. A zig-zag rope course is much more common than in sport climbing. This can create rope drag, the possibility of rope passing over sharp rock edges and also situations where, in the case of a fall or pulling through the rope, protection could be dislodged. Having the kit to be able to extend the distance between the rope and the protection (extension) is useful. For this reason, it is normal practice to take longer extending quickdraws and not just short 12 cm quickdraws. Depending on the route, it can also be sensible to bring a selection of sewn slings. DMM, Camp and Black Diamond have special hardware ranges for trad climbing and everything you need can be found in our climbing shop. Consider as well using a harness with plenty of gear loops to keep your your rack organised and accessible. On a trad route constructing a belay station requires skill and practice with at least two good pieces of protection being placed. 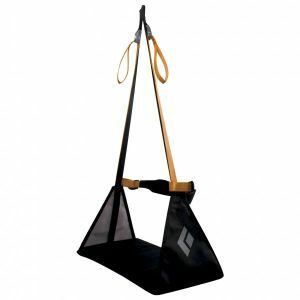 It can be useful to carry a long sewn sling or personal anchor system reserved for securing you to your belay station and it is important that equal loads are placed on the protection (equalisation) to prevent overloading a single piece in the case of a fall directly onto the belay. You should always have in mind that it's not so easy to judge the security of trad gear placements. A micro wedge on a flaky slate slab is never going to be the same as a well placed cam in solid granite - conversely, a well placed micro-wire will be a lot more secure than an insecure cam on limestone or another soft rock. Experience and regular practice is the key to an enjoyable trad climb. Simple, cost-effective and often the strongest anchor points can be built using sewn slings and cords. They can be placed around a rock outcrop or threaded through hourglass shaped gaps in the rock. This style of protection is quickly placed and in the case of solid threads, very secure. The next option are Nuts, which are mainly used in rock formations with smaller options for placements. Nuts are best placed in tapered openings and firmly wedged in the rock. Well placed Nuts can become very tightly wedged after a fall so it is recommended that you carry a solid nut removal tool when trad climbing. Hexentrics are a special form of Nut with six edges (hence the name). They're normally bigger than the largest Nuts and are used when larger gear is needed. Active cams like Dragon Cams by DMM or Camalots by Black Diamond are secured in cracks or gaps with a spring loaded camming system. Therefore they can also be used in untapered placements such as parallel cracks. For many climbers, cams are often known by the name ‘friends' but this is actually the brand name of Wild Country who first produced the technology. And what is big wall climbing? The idea of big wall climbing comes from America and describes climbing a higher wall. The easiest way to explain it is to compare it to the European alpine approach, where you ascend as quickly as possible, in one go. As the weather in many US climbing areas is considerably better than in the Alps, you can take longer over a climb and attempt technically more difficult routes. Usually a big wall climb takes several days and all the equipment is carried up the wall. Climbers sleep on the wall, often on Portaledges, and the equipment is carried from stop to stop in large haul bags. This is another thing that's different to Alpine climbing, where climbers carry their gear in a backpack whilst climbing. In the 1960s, the clean climbing philosophy prevailed among American climbers. Climbers endeavour to leave a route as they found it. Therefore, big wall, like trad climbing to some extent, relies on cams, nuts and slings. Bolts are frowned upon in most areas and pitons are also rarely seen. However, there are some big wall routes with bolts and many climbers do use pitons. The biggest difference to trad climbing lies in the type of climbing. While trad climbing is all about free climbing, big wall climbing commonly includes technical climbing. The gear placements aren't just used for protection, but also for moving up the route. Whatever your opinion, with trad and big wall climbing, there are two very exciting types of climbing to discover.